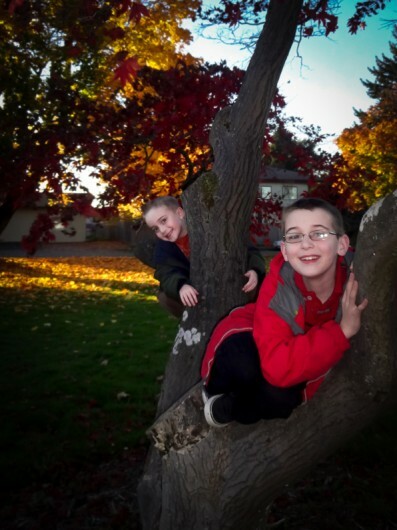 We had fun last weekend jumping in leaf piles and climbing trees. Fall is definitely in full swing and tomorrow is Halloween. We are very excited! John will be furiously carving pumpkins tonight while the boys head out to a party at Orion's dojang. Yes, we are blessed beyond belief. God is good!